Are you looking for water treatment systems? The level of environmental pollution is increasing on a daily basis, and more and more people are facing problems. However, people are taking this matter more seriously in order to minimize the risk of being negatively affected by all the harmful elements present in the environment. As compared to air contamination, water contamination is a lot worse, because air cleans itself eventually due to the action of the trees and plants, that reduce gas emissions to a suitable and acceptable level and improve the quality of breathable air. On the other hand, water pollution is a completely a different thing. Once it has been contaminated, there is no tree that can help us purify it, so we have to take active part in the process to clean it. This is where water treatment systems become essential. Sea R.O. 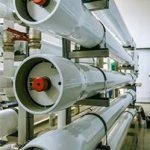 Watermakers offer its clients extensive experience and expertise in ultrafiltration membrane development, materials science, and purification systems, all focused on water treatment. We offer cost-effective and responsive product solutions to address a wide variety of water treatment needs. We offer both new product configurations and innovative purification technologies, and we combine them into the manufacture and design of watermaker products, both custom and standard, to satisfy water treatment needs of our clients. Our focus is water. 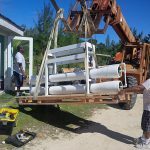 Apart from serving residential areas, we install water treatment systems in various industries such as gas/oil, emergency drinking water, purified water, industrial process water, and commercial wastewater recycle. Our goal is to help our clients get the water they need from the water they have. We understand water contamination, and we know water chemistry. We assemble the latest technologies in such a way that works best for effectiveness and efficiency, whether it is purifying water for industrial purposes, or reusing hazardous and complex produced water from gas and oil operations. We assemble, install, and service water treatment systems in both residential and commercial areas. Sea R.O. 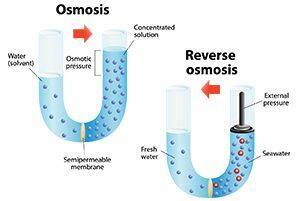 Watermakers offer the water purification systems for any flow and use in residential areas. Our water purification systems are powerful treatment solutions for even the worst water issues, from bacteria to sulfur, iron, pesticides, color/tannin, smell and much more. Our watermaker applications make water safe and appealing from well, lake, or city water at every tap, guaranteed. Our certified water purification systems offer powerful treatment solutions without consumables. No matter your industry, the advantages of purifying your water with Sea R.O. Watermakers are clear: improved sanitation, product quality, and lowered costs. Our watermaker products are built for various commercial/industrial areas such as food processing, camps, hospitals, medical grade, beverage, mining, schools, cosmetics and more. Pollution is all around us, and water contamination is probably the most dangerous form of environmental pollution because we are constantly exposed to it and most of us don’t even know that we are.Trust the professionals at Sea R.O. Watermakers for water treatment solutions nationally and internationally. We assemble, install, and service nearly all kinds of water treatment systems for residential and commercial areas. Learn more about our commercial water filtration services at 954-527-5282. View the wide range of our watermaker products HERE.